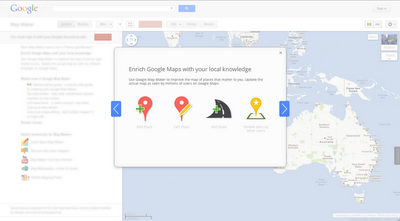 opens its maps to Australia, so you can add your local knowledge to Google Maps for all the world to see. Help share Australia’s natural gems with tourists and locals alike by drawing the hiking trails through the Eucalypt forests of Tasmania or adding all the campsites surrounding Uluru-Kata Tjuta National Park. Then, once you’re ready for some rest and relaxation, why not map the beach resorts of Kangaroo Island, all the best restaurants along the Coral Sea of Queensland, or your favourite billabong for a day of fishing? You can even add your neighbourhood rugby club before heading off to a game. Once approved your contributions will appear on Google Maps, Google Earth and Google Maps for mobile, accurately reflecting your real-life neighbourhood. You can even join with other local mappers and use your local expertise to review one another’s contributions to the map. To see examples of what people all around the world are adding in Map Maker, you can watch mapping in real-time. Hyams Beach comes alive with Google Map Maker. Google Map Maker warmly welcomes the people of Australia to the team of citizen cartographers from 200 countries and regions across the globe as they continue to build the world map. To learn more, subscribe to the Map Maker YouTube Channel, and get started mapping today! G’day mappers — at last it’s time to share the treasures of the Great Southern Land. 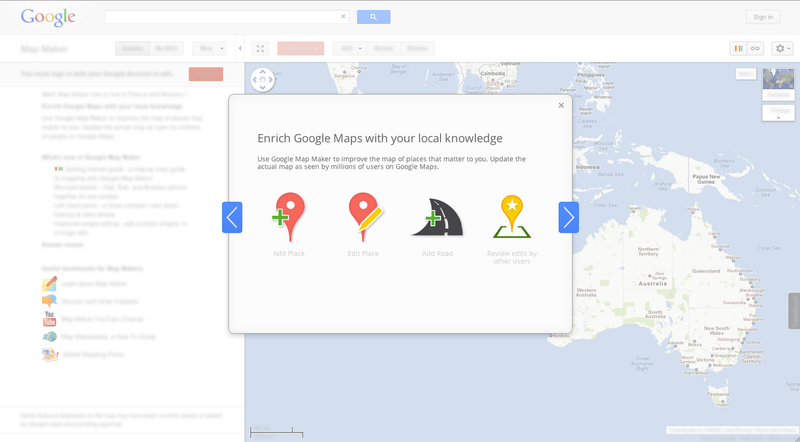 Today, Google Map Maker opens its maps to Australia, so you can add your local knowledge to Google Maps for all the world to see. available in Google Maps, we’ve been working to deliver you with the most accurate and useful information about subway, bus, commuter rail, and ferry service across the greater metro area. Starting today, we’ll also be showing planned service alerts for the city’s subways, which serve more than 1 billion riders each year. Have you ever arrived at a subway platform only to find that the train you intended to take is skipping stops, rerouted on another line, or isn't running at all due to scheduled maintenance? Now when you click on any of the 468 New York City subway stations labeled on Google Maps, you’ll see whether any planned service changes are expected to affect that station at the time. 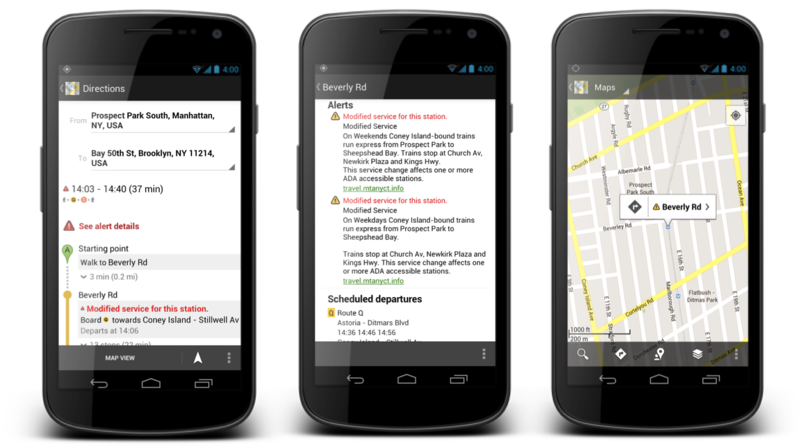 In addition, the relevant alerts will be included in the step-by-step transit directions pointing you wherever you’re going. If you’re looking to find the best route to see a concert after work or checking for any expected delays when already running late, this feature works when you’re online via maps.google.com and Google Maps for Mobile on Android. To adjust your travel around the alerts you see, simply choose another suggested route or change your departure time. We’re regularly adding new cities and features globally and looking forward to continuing our efforts to make travel by public transportation a better experience in more than 400 regions around the world. For everybody who lives in one of New York City’s five boroughs, commutes in and out every day or is visiting for business or vacation, we hope today’s update improves the ease and efficiency of your trips around the city. Since first making New York City public transit directions available in Google Maps, we’ve been working to deliver you with the most accurate and useful information about subway, bus, commuter rail, and ferry service across the greater metro area. Starting today, we’ll also be showing planned service alerts for the city’s subways, which serve more than 1 billion riders each year. As an added bonus, we were lucky enough to capture Larry, the Downing Street cat, relaxing in his favourite spot on the front porch. Since February 2011, Larry has held the official position of Chief Mouser to the Cabinet Office. 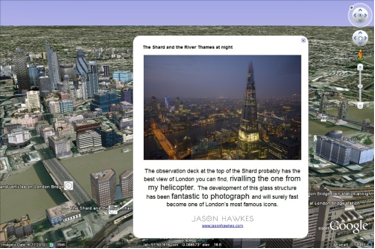 To learn more about Street View, visit our website. Following in the footsteps of The White House, we’re delighted to announce the iconic residence of the UK Prime Minister and Chancellor of the Exchequer, Downing Street, London, can now be seen in Street View. Google Maps users can take a virtual stroll along the street and stand in front of the famous front door to No.10, right at the heart of government. 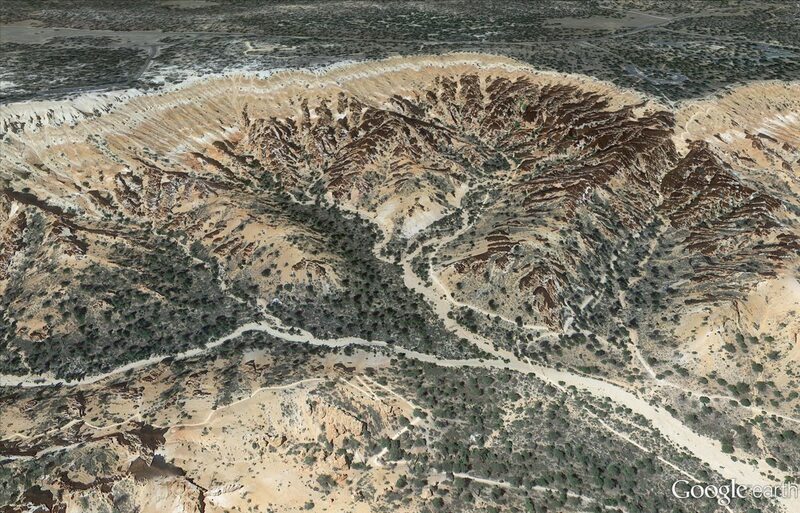 and Maps Imagery team just published another extensive catalog of new imagery. This week we have exciting new updates to both our high resolution aerial and satellite imagery and our 45° imagery. We’ll start in the United Kingdom, where the London 2012 Olympic Games opens this Friday. We’ve released new satellite imagery taken this past May of the Olympic Park and Village. 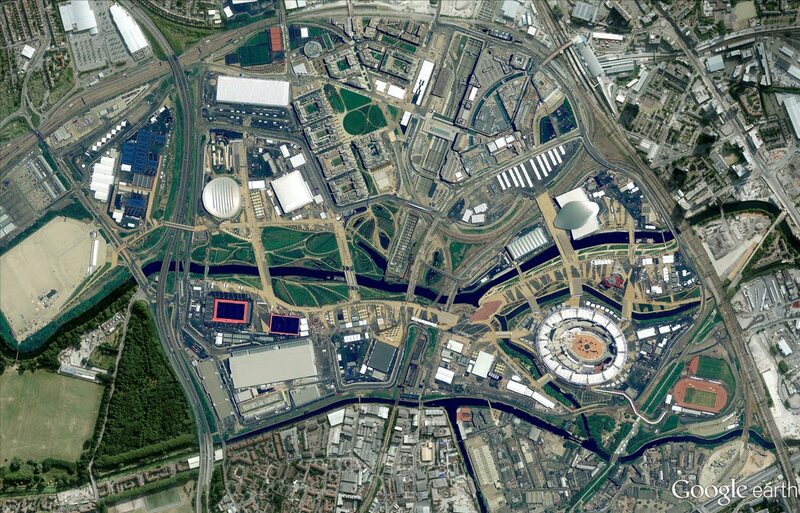 In the image above, you can see the final construction touches being added to the open-air Olympic Stadium (lower right). Even if you aren’t a geologist, you’ll enjoy exploring the new imagery for Bryce Canyon, Utah - famous for its text-book example of hoodoos. The image above is a perspective view of aerial imagery taken in June. With approximately 1.4 million inhabitants, Munich is the capital of Bavaria and the third largest city in Germany. 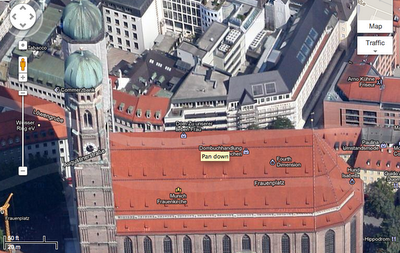 The image above shows the Frauenkirche, a symbol of the Bavarian capital city. Chicago is a an industrial metropolitan city with an impressive skyline that really stands out with our new 45° imagery. The image above features the Trump International Hotel and Tower, the second-tallest building in the United States and a prominent Chicago landmark. United States: Anderson, CA; Beech Island - New Ellenton, GA; Cape Girardeau, MO; Carthage, MO; Chicago, IL; Clarksville (outskirts), TN; Columbus - Reynoldsburg, OH; Dayton, OH; Everett, WA; Galena, KS; Idaho Falls, ID; Joplin, MO; Lafayette (outskirts), LA; Lancaster, CA; Louisville, KY; Lowell, MA - Nashua, NH; Pittsburgh, PA; Pueblo (outskirts), CO; Redding, CA; Springfield, IL; Yuba City, CA. International: Birmingham, UK; Catania, Italy; Denia, Spain; parts of London, United Kingdom; Meyrin - Vernier, Switzerland; Munich, Germany; Neuchatel, Switzerland. United States: Antelope Wells NM; Bryce Canyon UT; Green Bay WI; Huron, SD; Hutchinson, KS; Olympia WA; Park Hills, MO; Peach Springs, AZ; Phoenix, AZ; Placerville, CA; Riverside, CA; Rosenfeld, TX; Waverly, OH. International: Wiener Neustadt, Austria; Alicante, Spain; Denia, Spain; Gandia, Spain; Las Rozas, Spain; Lugo, Spain; Santander, Spain; Sueca, Spain; Vitoria, Spain; Bern, Switzerland; Geneva, Switzerland; Nyon, Switzerland. 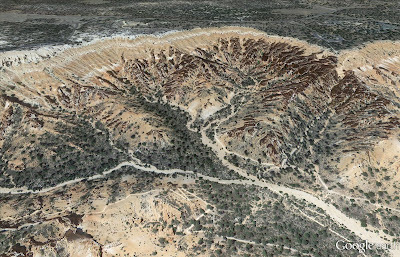 If you’d like to receive an email notification for the latest Google Earth and Maps Imagery team updates for your favorite areas, we’ve got just the tool: our Follow Your World application. Happy exploring! In our continuing effort to build the most comprehensive and accurate view of the world, the Google Earth and Maps Imagery team just published another extensive catalog of new imagery. This week we have exciting new updates to both our high resolution aerial and satellite imagery and our 45° imagery. 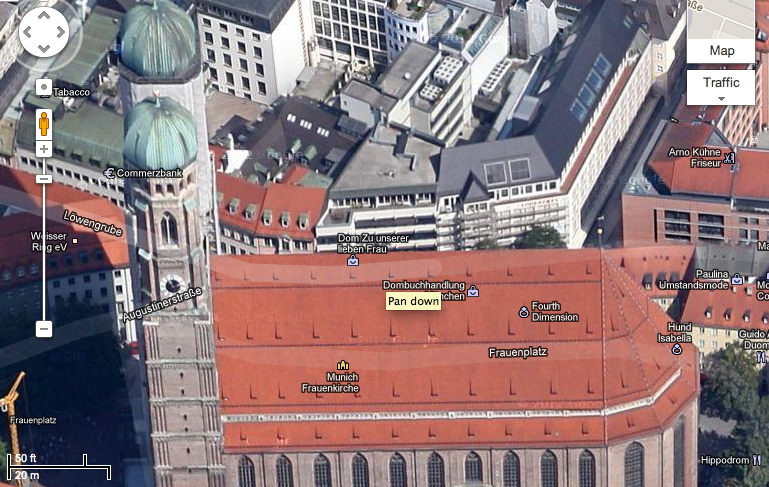 more useful by automatically zooming into your city as the starting point for your search. Now you can dive right in and discover the local businesses, restaurants and attractions near you, without having to manually enter your location. Much easier and faster. We show the details of your starting point in the left panel. And if for some reason your starting point isn’t correct you can easily add your street address, zip code, city and state, or country by clicking on the Correct it link. Location information displayed on left with option to correct it. For those of you who’ve already set a Default Location with Google Maps, we hope you’ll appreciate this smart new feature that we hope will make Google Maps easier to use for your next adventure. Maps users have told us that when they embark on a journey, they often want to start from their current location. That’s why today we’re making Google Maps more useful by automatically zooming into your city as the starting point for your search. Now you can dive right in and discover the local businesses, restaurants and attractions near you, without having to manually enter your location. Much easier and faster. on the new iPad, iPad 2 and iPhone 4S. A map must be comprehensive and accurate no matter where you are or what device you use. 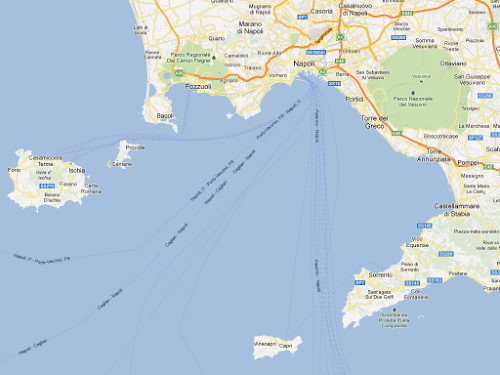 We also believe maps can be useful in ways you might not have imagined. 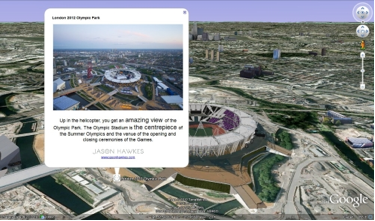 With today’s release of Google Earth for iOS you can literally fly through breathtaking 3D city landscapes and images and follow virtual tours of places you’ve never been -- all with a simple swipe of your fingertip. It’s a new, and I think magical way to explore the world in which we live. 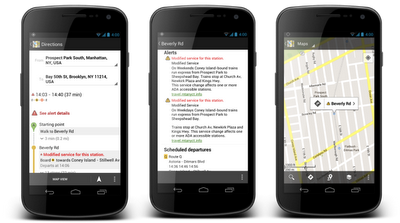 Also new in this release is a “tour guide” to show you interesting places to explore. We’ve put together short tours of thousands of famous places and historical sites across the globe so it’s easier than ever to discover amazing places. Just pull up the tab at the bottom of the screen to open the tour guide. Each image highlights a tours or place of interest in the area you are looking. Click on an item and you will be flown there. 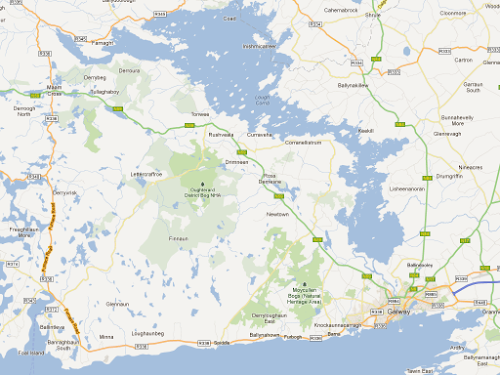 As you fly in and around the sites, snippets from Wikipedia provide additional information about the location. It’s like having a local expert right beside you! The tour guide is available for all iOS devices running iOS 4.2 and newer. To start exploring, download the latest version of Google Earth for iPhone, iPad, and iPod touch from the Apple App Store today. 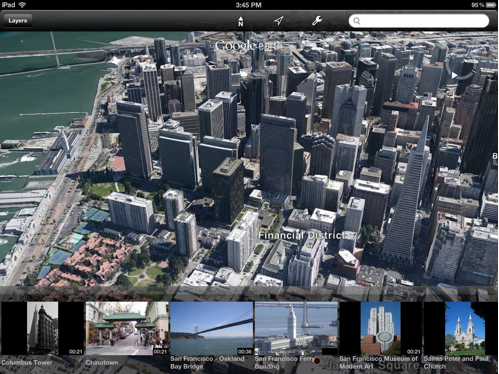 Today, we’re happy to announce the availability of 3D imagery for Google Earth on the new iPad, iPad 2 and iPhone 4S. was a huge influence and hero of mine. Last year, Jason came to the Google office in London to give a Tech Talk, and I was finally able to meet him in person. He mentioned being a big fan of Google Earth, using it to put together virtual flight plans for his trips. 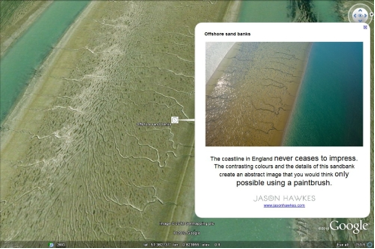 After Jason’s visit, we decided to collaborate on an effort to bring geographic context to his work with Google Earth. By creating a KML file showcasing some of his most beautiful images, we were able to truly capture a “Hawkes eye view” of locations all around the world. While Jason hails from the United Kingdom, his work spans the globe. Simply open the KML in Google Earth, and you’ll feel like you’ve taken a seat right next to him as he flies over the United Kingdom, New York, Las Vegas, Hong Kong, Budapest and Minorca. Given the excitement around London this summer, we included a variety of photographs that bring the changing face of the city to life, from the addition of The Shard skyscraper to the massive redevelopment taking place in Stratford for the Olympic games. 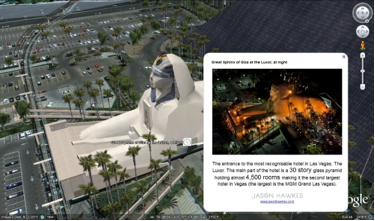 When viewing the KML in Google Earth, make sure the “3D Buildings” layer is enabled in the left hand panel to enjoy a 3D experience of famous buildings. Happy flying! While some children spend their youth fascinated by model cars and legos, I was always more interested in aerial photography. For years I amassed a collection of books capturing this unique perspective of the world, and it was obvious from looking through my personal library that British aerial photographer Jason Hawkes was a huge influence and hero of mine. Last year, Jason came to the Google office in London to give a Tech Talk, and I was finally able to meet him in person. He mentioned being a big fan of Google Earth, using it to put together virtual flight plans for his trips. team awarded a first round of Developer Grants to organizations with outstanding mapping ideas. These grants support the technical development of maps and enable nonprofits to implement cutting-edge mapping technology to make an impact on the world. This year at Google I/O, we announced the 2012 Google Earth Outreach Developer Grants program in a session called “Maps for Good.” We were honored to have two developers speaking on behalf of organizations who were awarded a Developer Grant in 2011, including Jake Wall from Save the Elephants and Kevin Bluer from AXS Map. Learn more about their projects, as well as other 2011 grantee work for inspiration on how mapping could bring your nonprofit’s work to life. Over the past few months, we’ve seen more nonprofits making use of tools like Google Maps Engine and developing applications on Android devices. We expect to see project proposals with innovative ideas that address the world’s most pressing problems in the areas of the environment, humanitarian issues, disaster preparedness, at both the local and global level. Visit the Google Earth Outreach website to learn more about this year’s Developer Grants program and make sure your organization is in an eligible country. The deadline to apply with your initial project proposal is August 1, 2012 at 11:59pm PST. Good luck to all of this year’s applicants! In 2011, the Google Earth Outreach team awarded a first round of Developer Grants to organizations with outstanding mapping ideas. These grants support the technical development of maps and enable nonprofits to implement cutting-edge mapping technology to make an impact on the world. Whether you’re travelling abroad or exploring your own city, the maps you carry with you should be comprehensive, accurate and easy to use. We're constantly making improvements to Google Maps to help you find and discover places that are meaningful to you no matter where you are. And today, we’re launching updated maps of Croatia, Czech Republic, Greece, Ireland, Italy, Lesotho, Macau, Portugal, San Marino, Singapore and Vatican City to do just that. We’ve also added more accurate names and locations for major points of interest, such as airports, universities and public squares. 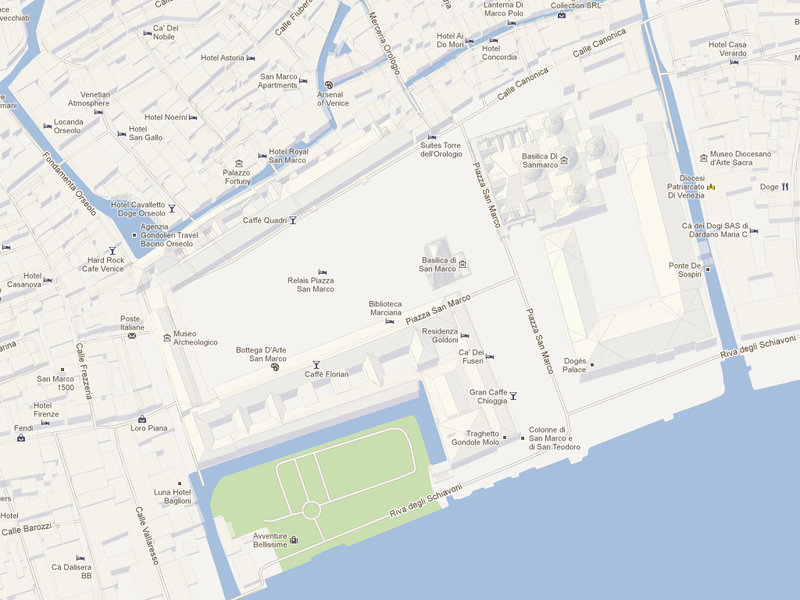 Here you can see St. Mark’s Square in Venice, now with accurately aligned canals, 3D buildings and detailed labels of the countless number of places to be discovered. We’ve also added better and more clearly labelled ferry routes in many places, such as the area below surrounding Naples, Italy. Traveling by ferry is one of my favorite ways to explore a city—I love looking back from the water at the cityscapes—and this improvement will help you find the ferry routes you need to do the same. 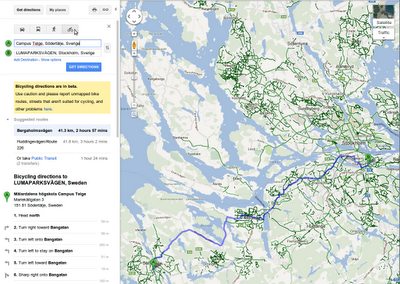 You can even use Google Maps to get transit-based directions for ferries. We take into account ferry timetables to route you over water just easily as you might follow our driving directions over land. In addition to the above changes, local roads on these maps are now more accurately distinguished from highways, and multi-lingual names are available for a larger proportion of roads in many of the updated countries. These improvements give you a better visual feel of the location, as well as make it easier to navigate the area when you're on the ground. Of course, the world around us is always changing, so we’re making our “Report a problem” tool available in each of these countries as well. You can use it to send us a description of any corrections to be made, which we then incorporate into our maps, often within days. Today’s improvements follow the recent expansion of our collection of Antarctic imagery, and are part of our ongoing effort to build maps that are comprehensive, accurate and easy to use. We've partnered with numerous authoritative sources to ensure that Google Maps is a living reflection of every corner of the globe. After all, a map is only as good as the data behind it. The maps that we've built will help ensure that you get correct and up-to-date information about the world around you. Update 8:00pm: We're also making certain maps of the 11 countries listed above, plus Egypt, Poland and Ukraine, available offline in Google Maps for Android. In the winter of 1913, a British newspaper ran an advertisement to promote the latest imperial expedition to Antarctica, apparently placed by polar explorer Ernest Shackleton. It read, "Men wanted for hazardous journey. Low wages, bitter cold, long hours of complete darkness. Safe return doubtful. Honour and recognition in event of success." While the ad appears apocryphal, the dangerous nature of the journey to the South Pole is certainly not—as explorers like Roald Amundsen, Robert Falcon Scott and Shackleton himself discovered as they tried to become the first men to reach it. Back in September 2010, we launched the first Street View imagery of the Antarctic, enabling people from more habitable lands to see penguins in Antarctica for the first time. Today we’re bringing you additional panoramic imagery of historic Antarctic locations that you can view from the comfort of your homes. We’ll be posting this special collection to our World Wonders site, where you can learn more about the history of South Pole exploration. With the help of the Polar Geospatial Center at the University of Minnesota and the New Zealand Antarctic Heritage Trust, we’ve added 360-imagery of many important spots, inside and out, such as the South Pole Telescope, Shackleton's hut, Scott’s hut, Cape Royds Adélie Penguin Rookery and the Ceremonial South Pole. With this technology, you can go inside places like Shackleton’s Hut (pictured above) and the other small wooden buildings that served as bases from which the explorers launched their expeditions. They were built to withstand the drastic weather conditions only for the few short years that the explorers inhabited them, but remarkably, after more than a century, the structures are still intact, along with well-preserved examples of the food, medicine, survival gear and equipment used during the expeditions. Now anyone can explore these huts and get insight into how these men lived for months at a time. This new imagery was collected with a lightweight tripod camera with a fisheye lens—equipment typically used to capture business interiors through the Business Photos program. We worked with this technology because of its portability, reliability and ease-of-use (our Street View trikes wouldn’t be much use in the snow). The goal of these efforts is to provide scientists and travel (or penguin) enthusiasts all over the world with the most accurate, high-resolution data of these important historic locations. With this access, schoolchildren as far as Bangalore can count penguin colonies on Snow Hill Island, and geologists in Georgia can trace sedimentary layers in the Dry Valleys from the comfort of their desks. Feel free to leave your boots and mittens behind, and embark on a trip to Antarctica. My Tracks, an Android app that uses your phone’s GPS capabilities to visualize your location over time for sharing in Google Maps and Google Earth. We’ve used My Tracks to follow team HTC-Columbia during the Tour de France and trace the paths of our skiing adventures. A year after launch we open sourced the software and released the code to the world for developers to use in their own applications. Now, we’re happy to announce that My Tracks 2.0 is available for download on Google Play. Update to My Tracks 2.0 today and start tracing and sharing your path around the world. 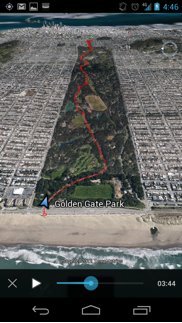 Back in 2009 we released My Tracks, an Android app that uses your phone’s GPS capabilities to visualize your location over time for sharing in Google Maps and Google Earth. One hot summer day in Yosemite National Park in Northern California, I sat under a tree along a lazy river in awe of the natural beauty around me. I looked out at the majestic granite mountains, the chirping birds and the rustling leaves, and thought about how they were the same that day as they had been thousands of years ago. People around the world can now appreciate the beauty and timelessness of the wilderness through Street View. We've recently added 360-degree panoramic imagery for five of California’s national parks—including Yosemite—to Google Maps. In addition, we've refreshed Street View imagery across most of the state. You can now take a virtual road trip practically the entire stretch of California from north to south. Moving inland to Yosemite National Park, we visit historic Inspiration Point, the site famously photographed by Ansel Adams in “Clearing Winter Storm”. Panning right from the same vantage point, you can see the cliffs of El Capitan and the picturesque Bridalveil Fall waterfall flanking iconic Half Dome, a granite rock formation almost 5,000 feet tall. You can also use Street View to venture into the valley, overlook Glacier Point (visited by John Muir and President Theodore Roosevelt in 1903), explore the more remote upcountry along Tioga Pass road and see the Giant Sequoias in Mariposa Grove. You’ve seen the redwoods, now see more enormous trees with a visit to Sequoia & Kings Canyon National Parks, whose namesake trees are the most massive in the world. It would take almost 30 adults linking their outstretched arms to wrap all the way around the largest sequoias. These parks also offer rich and varied landscapes featuring everything from mountains to canyons to caverns. The name may be foreboding, but Death Valley National Park, which lies along the California-Nevada border and has the lowest elevation of any spot in North America, is home to a variety of flora and fauna and well worth a visit. With average summer temperatures in this desert environment soaring above 110 degrees Fahrenheit, most people visit in the winter, but Street View lets you check it out any time of year—no sunblock required. Slightly north of the U.S.-Mexico border is the fifth and final national park recently added to Street View: Joshua Tree National Park. The gnarly, twisted trees here seem like something straight out of a Dr. Seuss book. Plan your escapades ahead of time from your browser, then pack up your hiking shoes or your mountain bike and hit the trails in this one-of-a-kind desert landscape. Driving down Highway 1 through Big Sur is the ultimate road trip in California. 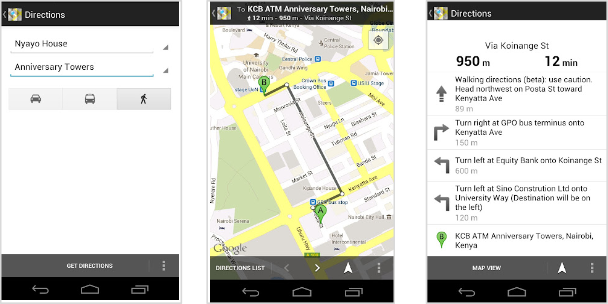 Google Maps for Africa gets better - walking directions launched! But of course not everyone drives or always needs to drive, so today we’re bringing walking directions for 44 African countries! Click Get directions, enter a starting and ending location and click Get Directions. 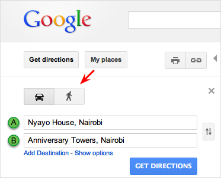 In the search field, enter a from-to statement (example: from Nyayo House to Anniversary Towers) and click Search Maps. 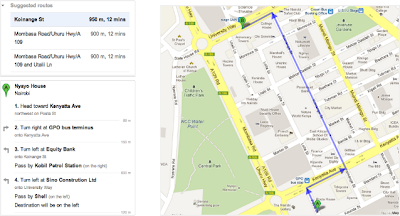 Walking directions are also available on Google Maps for Mobile. Try out the walking directions today. As a reminder, walking directions are currently in beta, and we recommend that you use caution, as the routes may be missing sidewalks or pedestrian crossings. Walking directions are editable, so if anything is amiss, you can correct it with our community mapping tool Google Map Maker. 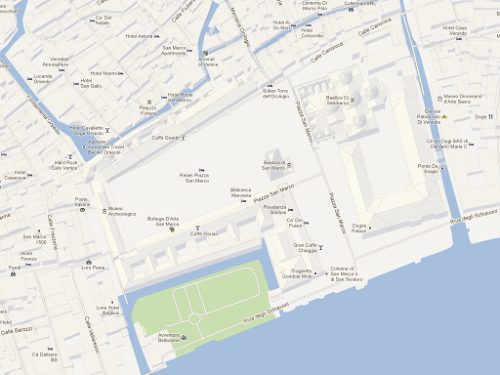 Google Map Maker is a tool that allows you to add and update geographic information for millions of users to see in Google Maps and Google Earth. 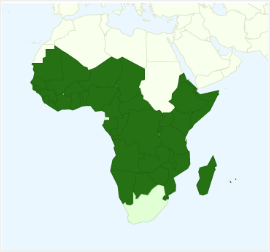 We are always grateful to our active African online cartographers who have helped make our African maps what they are today. We hope you enjoy using walking directions on Google Maps! 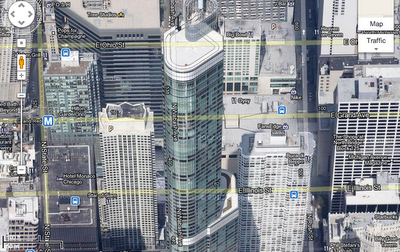 for users of Google Maps in the US and Canada. Helping cyclists navigate the bike trails throughout those countries proved hugely popular, so we’re wheelie excited to announce that starting today, we've also added extensive biking data to Google Maps for Austria, Australia, Belgium, Denmark, Finland, France, Germany, Liechtenstein, Luxembourg, Monaco, Netherlands, Norway, Sweden, Switzerland and the United Kingdom. In many of these countries we are also enabling biking directions in beta mode. We know how popular cycling is in many parts of the world, so we wanted to include as much bike trail data as possible to provide efficient routes, allow riders to customize their trips, make use of bike lanes, calculate rider-friendly routes that avoid big hills and busy roads and to customize the look of the cycling map to encourage people to hop on their bikes. So that's exactly what we've done. To start off, we've added information about bike trails, lanes and recommended roads directly to the map through the updated biking directions legend. This can help you get a better sense of your route, or easily find trails nearby for a recreational ride. When you're zoomed into a city, use the widget at the top right of the map to turn on the "Bicycling” layer. Cycling is big in the Netherlands! To use biking directions, select the cyclist icon from the list of routing modes when you search for directions. Watch this short video for more information. Biking directions are now available in Austria, Australia, Belgium, Denmark, Finland, Netherlands, Norway, Sweden, Switzerland and the United Kingdom. We’ve been working hard to add as much biking data to our maps as possible and we hope you enjoy this latest addition to Google Maps. That said, knowing the best roads for cycling is a challenge and there is only one group of people in the world who really know where the best cycle paths are in their regions: Cyclists! Luckily, Google Map Maker is available in most countries where we’re releasing biking data and directions today, so we encourage all of you to help your fellow riders enjoy cycling as much as you do. Check out the brief tutorial and start adding those bike paths to your city or other places with which you’re familiar! If you live in a country that does not yet have Map Maker enabled, we appreciate your patience while we work to make it available as soon as possible. Or if you live in a place where biking directions are not yet enabled, but where you can already contribute to the map via Map Maker, we encourage you to add biking information in the meantime - and thanks for your help in making life easier for riders in as many countries as possible! 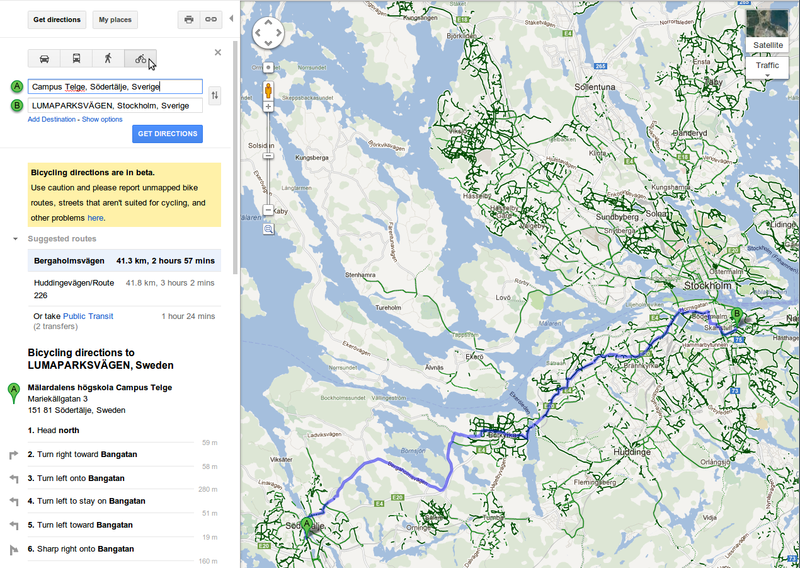 Back in 2010 we added biking directions for users of Google Maps in the US and Canada. Helping cyclists navigate the bike trails throughout those countries proved hugely popular, so we’re wheelie excited to announce that starting today, we've also added extensive biking data to Google Maps for Austria, Australia, Belgium, Denmark, Finland, France, Germany, Liechtenstein, Luxembourg, Monaco, Netherlands, Norway, Sweden, Switzerland and the United Kingdom. In many of these countries we are also enabling biking directions in beta mode. Indoor walking directions in the National Air and Space Museum - Smithsonian Institution, Washington, D.C.
, we launched the Map Makerpedia to bring together the collective knowledge and expertise of the Map Maker community into a Wiki-style guide. We recently rolled out an update to the site, which includes a more intuitive layout and revised templates. We’re thrilled to share these updates and a brief overview of the developments we’ve made over the past few months that have made it an invaluable resource for mappers across the globe. The “Mapping Tutorials” pages offer mapping lessons and tutorial videos. Nineteen articles, ranging from “How to map a golf course” to “Mapping roundabouts,” and six videos (in languages as diverse as Russian and Kurdish) currently comprise the Mapping Tutorials section. The “Community Projects” section sets the stage for organizers of MapUps to share their event experiences while encouraging others to try their hand at organizing community mapping sessions. From chronicling the efforts of mappers in disaster management and the uplifting of slums, to providing a platform for a veteran mapper to showcase his teaching initiatives, Community Projects is a practical handbook on the benefits of mapping. The “Regional Hubs” section provides a one-stop source for all the regional guidelines. The Regional Hubs not only bring together mappers of one country or territory together under one umbrella, but they also enable mappers from one part of the world to help others across the globe. 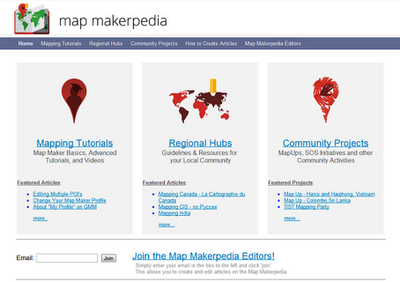 Finally, any mention of Map Makerpedia is incomplete without a heartfelt thanks to its amazing contributors! From the sandy dunes of Jordan to paddy-filled Vietnam, from chilly North America to the sunny Asian Sub Continent, with the Pearl of Africa adorning, this is one diverse community. 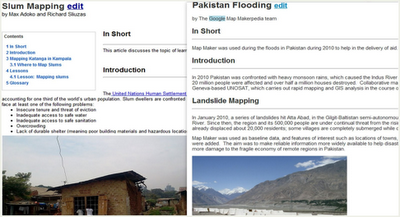 You too can share your knowledge on Map Makerpedia. Get started! Less than a year ago, we launched the Map Makerpedia to bring together the collective knowledge and expertise of the Map Maker community into a Wiki-style guide. We recently rolled out an update to the site, which includes a more intuitive layout and revised templates. in the UK. You’ll no longer need to feel clueless when you’re at the railway station, trying to figure out where to buy a coffee before you rush to catch your train from platform 11; nor will you feel embarrassed about asking for the lingerie section when you’re in the department store - because you’ll have all the answers in the palm of your hand. Just open Google Maps on your Android mobile phone, zoom in to the location you’re in and the indoor floor plan magically appears. And for buildings where the information is available, we’ll even show you where you are on the map with a familiar blue dot if you’ve enabled the My Location feature. 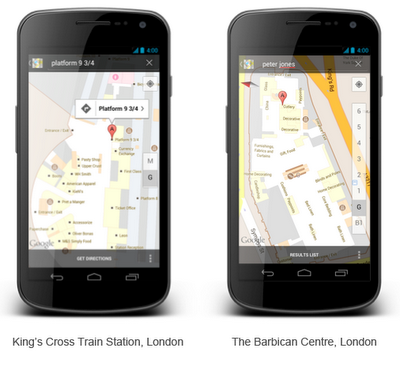 Next, search for the location you’d like to get to (Platform 9¾ at King’s Cross Station or Peter Jones in Sloane Square) and we’ll provide directions to help you get there - even if you’re on a completely different floor. More than 40 venues in the UK have worked with us to have their indoor floor plans appear on Google, ranging from train stations to art galleries, department stores to sporting venues. 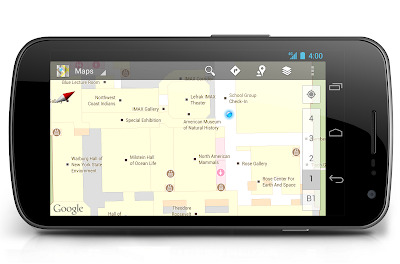 In fact, any building owner can upload their maps for future inclusion in Google Maps. I know that I’ll definitely be using the indoor maps feature this summer to find my way around London as I start my work as a volunteer this summer. And no doubt I’ll also be using it in between my shifts, perhaps for a spot of retail therapy at Peter Jones or to check out the James Bond exhibition at the Barbican. So whatever the weather, take time to explore the indoors this summer in the UK. Given the current British weather, we seem to be spending a lot more of the summer than we’d hoped indoors. The thing about being indoors is that people often get lost - I’m not talking about in your own home, of course, but when you’re out and about, in train stations, museums, department stores and shopping centres. We’re happy to announce that today Google is launching indoor maps for Android devices in the UK. You’ll no longer need to feel clueless when you’re at the railway station, trying to figure out where to buy a coffee before you rush to catch your train from platform 11; nor will you feel embarrassed about asking for the lingerie section when you’re in the department store - because you’ll have all the answers in the palm of your hand.